Do bạn think Daniel Salazar will be in one of those newfangled TWD-verse expansion thangs? người hâm mộ lựa chọn: No. What did bạn think of 'Blackjack' ? yêu thích character from 'Blackjack' ? What did bạn think of 'MM 54' ? How to make system faster and easier? This bài viết aims to serve as a welcome to new Fear The Walking Dead viewers hitching a ride in Morgan's backpack. Consider this gentle encouragement to give the first 3 seasons a chance ahead of season 4. It is spoiler-free! Well, other than acknowledging that morgan transitions to the show, of course. I know there's already an bài viết talking about this, but I needed to get this out of my chest. This bài viết contains spoilers from the Season 3 finale. I am outraged at the wasted potential that was Troy Otto. This is a character study and I just wanna start bởi saying that Troy deserved so much better and so much thêm and that the writers totally fucked him over. 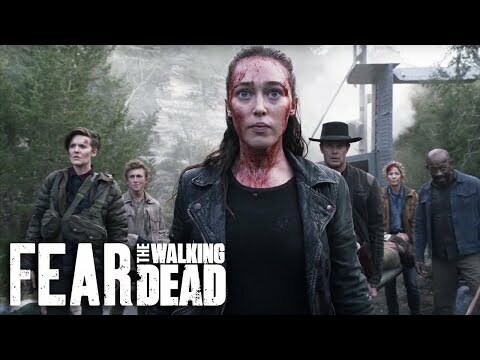 This bài viết contains spoilers for Fear the Walking Dead's Season 3 Finale. If bạn haven't seen that yet, get lost. Ok, you've been sufficiently warned, time to get down to it. Today, we are going to be discussing the tragic loss of a sweet, innocent, wonderful character named Troy Otto. EXCLUSIVE: Karen David is the latest to be thrown into the world of zombie survival in AMC’s Fear The Walking Dead. The Galavant actress has been added as a series regular on The Walking Dead spinoff for season 5. EXCLUSIVE: Alexa Nisenson, who has appeared as the recurring character on the fourth season of Fear the Walking Dead, has been promoted to series regular for Season 5. The Walking Dead ngôi sao Austin Amelio is headed to Fear the Walking Dead to serve as the tiếp theo crossover character between the two AMC shows. Who does Alicia text at the beach?